In the mixer bowl, add flour, yeast, baking soda, eggs, honey, vanilla extract and butter and mix for 1-2 minutes. Add sirup, pears and chocolate chips and mix just a bit, slowly. 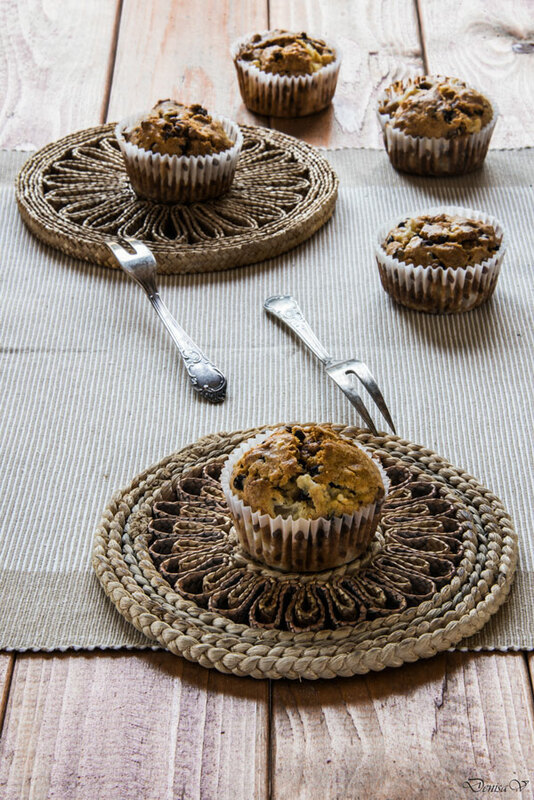 Pour the composition in muffin mold, by filling them only 2/3. These muffins will raise in the oven and they won't go down when cooled. Recipe inspired from Marmiton les meilleures recettes de pâtisserie et desserts de Marmiton, page 164.